As an esteemed name in the relevant industry, we are offering a precision-engineered array of Industrial FRP Sewage Tank. 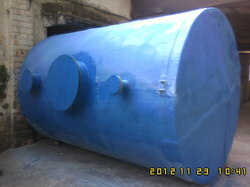 As an esteemed name in the relevant industry, we are offering a precision-engineered array of FRP Sewage Tank. Keeping in mind current market development, these FRP Sewage Tanks are manufactured by our qualified professionals employing premium quality raw material and modernize tools. Apart from this, our quality inspectors perform a series of quality test on the entire products ensuring their flawlessness. We have firmly positioned ourselves as leading Square Storage Tank manufacturer, exporter and trader of Square Storage Tanks. These tanks are designed at our ultra-modern manufacturing unit using the superb quality raw material and progressive technology in conformance with defined quality standards. Being a quality-oriented organization, we assure our clients that these Square Storage Tanks are excellent on counts of durability and quality. Besides, clients can avail these products from us at market leading prices. 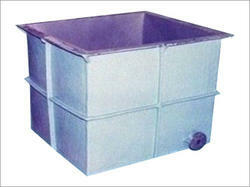 Looking for Industrial FRV Tank ?